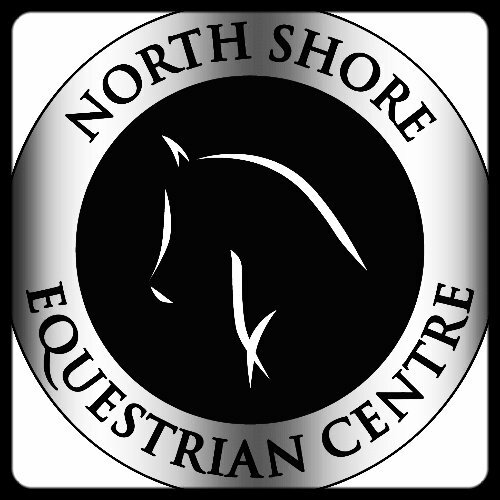 Even if you don't own your own horse, you can still learn to ride at North Shore Equestrian Centre! You can join lessons starting from 8 years old and all you need is a pair of boots with a defined heel and jeans, leggings or breeches. NSEC provides everything else you need to start in the exciting world of horseback riding! NSEC owns several school horses used for public riding lessons in one of our covered arenas. Our lessons are all English style riding lessons and correspond with Equine Canada's English Discipline Rider Level Program, taught by Equine Canada Canada Certified coaches. NSEC offers weekly group lessons after 4pm on weekdays and all day during weekends form September to June each year. Both kid and adult group lessons are offered. Lessons run for 45 minutes and students are expected to come 15-20 minutes BEFORE the start of their lesson to groom and tack up their horse as well as stay 15-20 minutes afterwards to untack and groom down. Students must commit to their weekly lesson until the end of June, but can quit at any time with two weeks notice. Please see our Rates & Policies Page for more information on our Group Lesson policies. Semi-Private lessons are offered Monday thru Friday before 4pm from September to June and are 45 minutes long. Spaces are limited and dependent upon instructor availability. Evaluation lessons are required when joining a group lesson mid-way through the September to June season or they can be used as a first time trial lesson. Evaluations are 75 minutes long and include a tack up portion, a riding portion and an untacking portion. Evaluations are scheduled depending on instructor and arena availability. If we are unable to find you a spot in our current season lesson program, we will add you to our wait list and contact you as soon as spaces open up. Please note that our wait list is cleared every June and those on the wait list can register for the September season after June 1st. During the summer months of July & August NSEC runs half-day, week-long summer camps. Rates, level descriptions and registration forms can be found on our Summer Camp Page. Registration for the next term will open on June 1st 2019. Please check back here for forms!